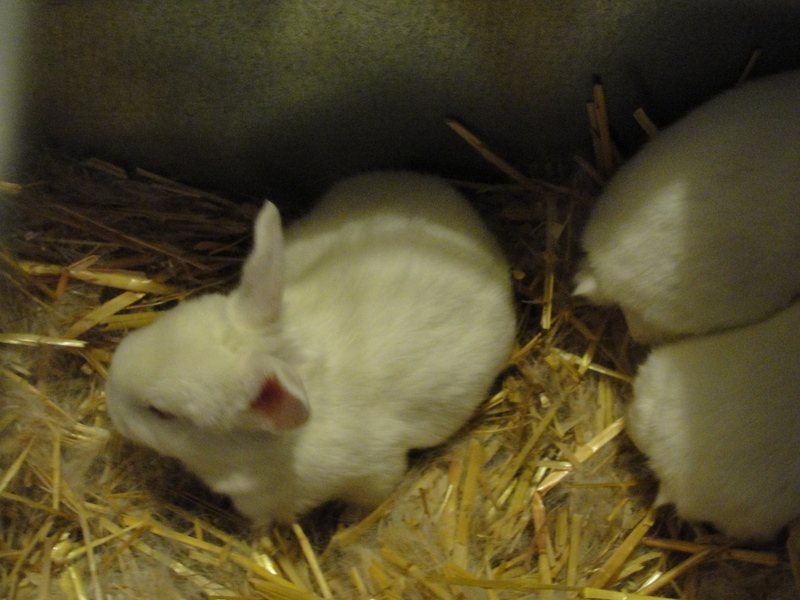 There are a total of 7 baby New Zealand White rabbits now at the homestead. My Doe finally had her babies. Her gestation period was longer than I had expected. 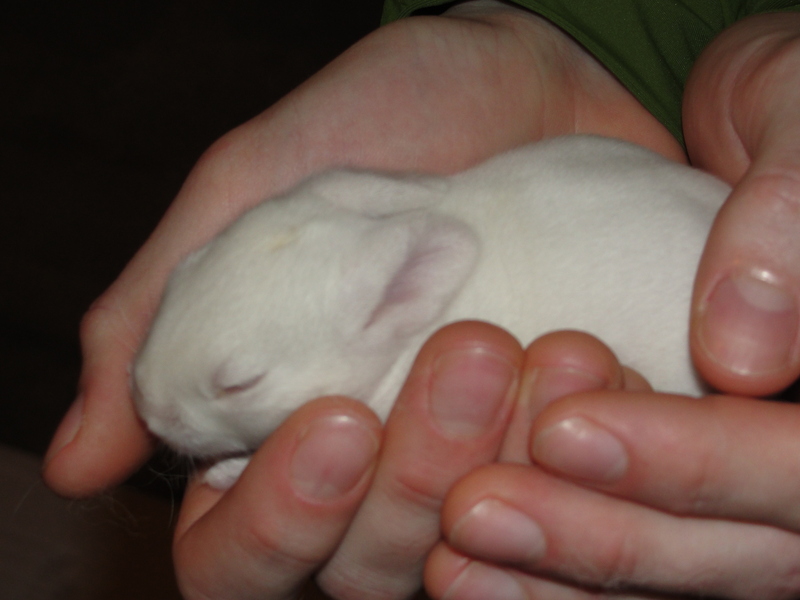 According to the books and videos I’ve read and watched it takes a rabbit 28-32 days to have their babies however mine took 33-34 days. 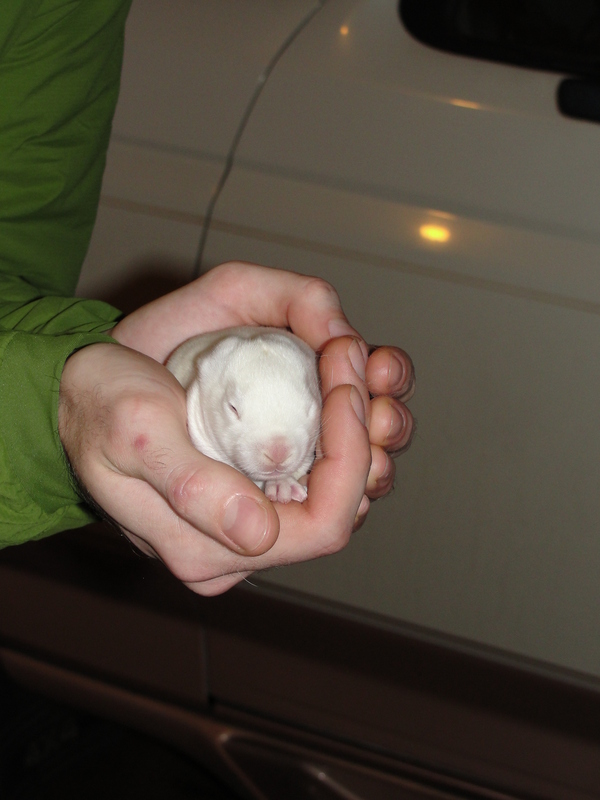 I think this may have been due to the fact that we had a cold spell where it got below 10 degrees Fahrenheit and as a result I had to move her cage inside of the garage so that the babies would have more shelter against the elements. This cold weather is very rare for my area especially at this time of year. The doe isn’t very friendly and the move seemed to stress her out quite a bit. I didn’t want to disturb her that close to her due date, but it was either that or risk her dying. 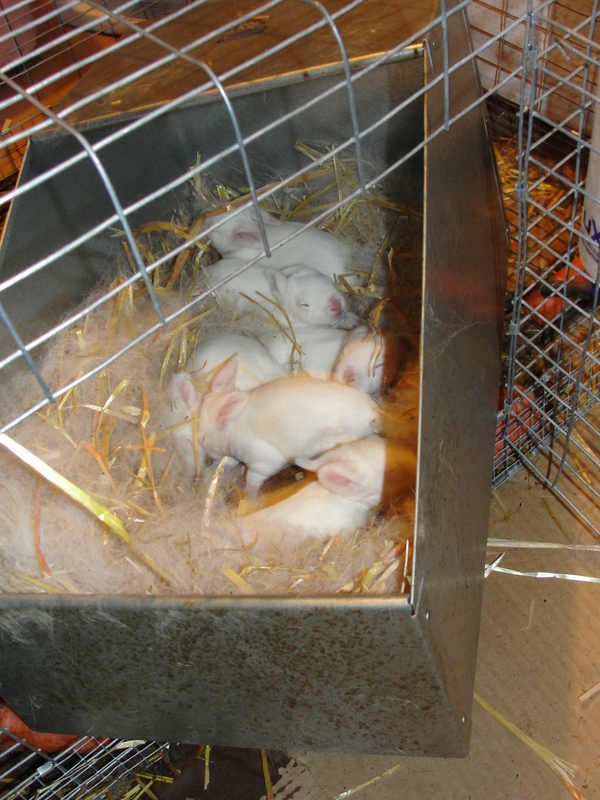 Luckily it all worked out and all 7 are healthy and have started growing fur. Special thanks to my mother and father who took care of my animals while I was out of town and to my brother who took the photos for this post.